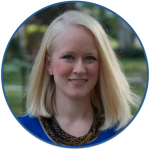 Read Alouds in Middle School | Kristen Dembroski, Ph.D.
Have you ever considered doing a read aloud with middle school students? This is an immensely popular practice in elementary schools, but I had never heard of it being done in my 6th – 8th grade building. Since I am providing reading interventions for students with learning disabilities and dyslexia this year, I decided why not give it a try? These are students who are highly intelligent, but for whom reading is laborious. If I could read an engaging text out loud to them, they could finally relax and simply enjoy being swept away in a story! 6th grade: Read 15 mins daily. Ask questions. Discover new vocabulary terms. Rediscover a joy for reading. 7th grade: Read 15 mins daily. Develop background knowledge. 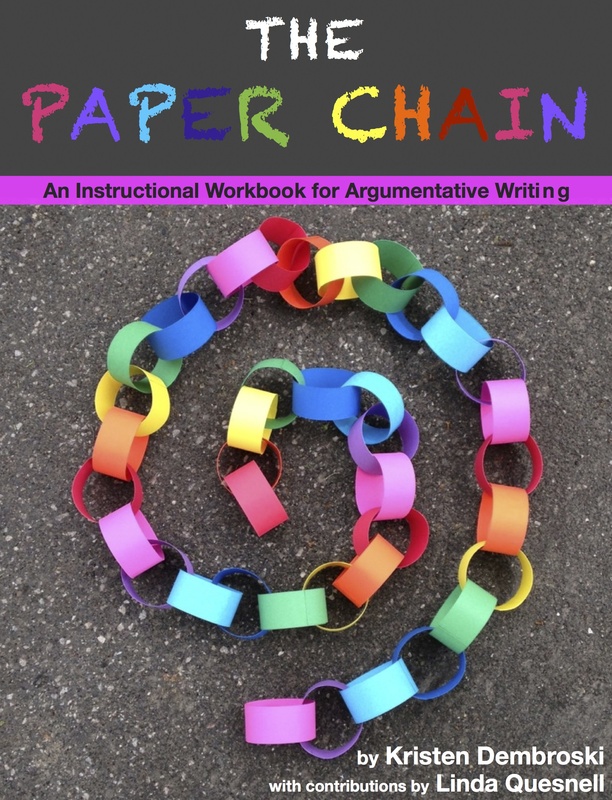 Summarize each chapter by writing a new chapter title. Rediscover a joy for reading. 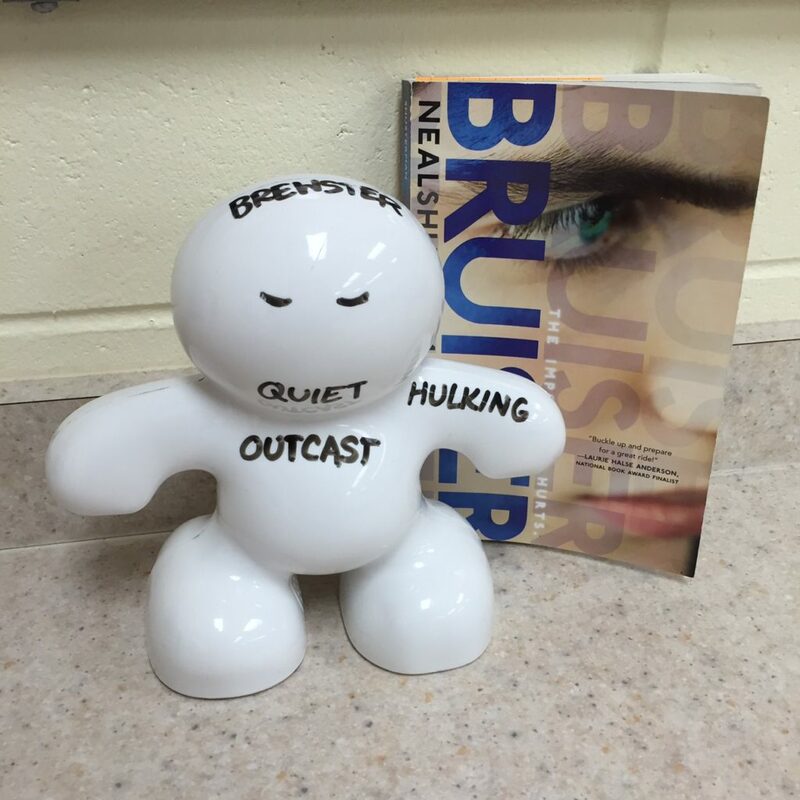 8th grade: Read 20 mins daily. Track character relationships, personality traits, and details. Rediscover a joy for reading. My students had never heard of “Choose Your Own Adventure”, so I felt a social obligation to expose them. I had ordered quite a few of these for 75 cents each off of half.com, and we chose to start with Terror in Australia. The students – most of whom have been self- or peer-branded as ‘poor readers’ – really, honestly enjoyed this experience. They got to pretend they were the main character and make choices that impact the outcome of the book. Whenever we came to a decision, we democratically voted and flipped to the correct page to continue our adventure. 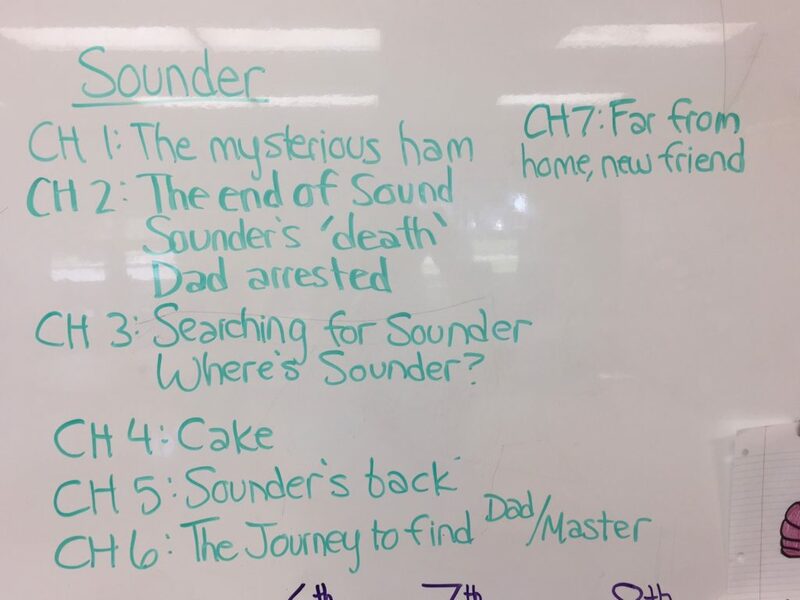 When the students didn’t like how quickly the story ended, they requested that I go back to the beginning and make some different choices to steer us toward an alternate ending. This second round WAS much more fun, since we had a better idea of what was going on. Students even noticed how the two timelines of the simultaneous stories somewhat overlapped. We finished this book in 3 days, so we then moved on to Scary Stories. I let the students select 2-3 stories a day, and we turned off the lights and sat in a circle as if we were telling ghost stories at overnight camp. They couldn’t get enough! Even though, as we agreed, the stories were cheesy and not that scary at all, they were still really fun. For both of these books, vocabulary was a major factor in our conversations. We had to build background knowledge on so many things. What’s an undertaker? Why do cars need high beams? Who are aborigine people? Lots to discuss. First, we would have to define defeat, glee, and defiant. Then, we’d have to discuss… WHO is feeling defeat? Who has bruised fingers? Then, WHY would the guard feel this way? Why would the boy act this way? These are text-based questions that are worth our time to stop and analyze. I was surprised at how much the students loved this book and requested it at the start of each day. Since none of the chapters have titles, our reading activity was to name each chapter. This prompted a pointed discussion about summary and main idea, which was our goal. We couldn’t always pick our favorite title, so we recorded several for a chapter. 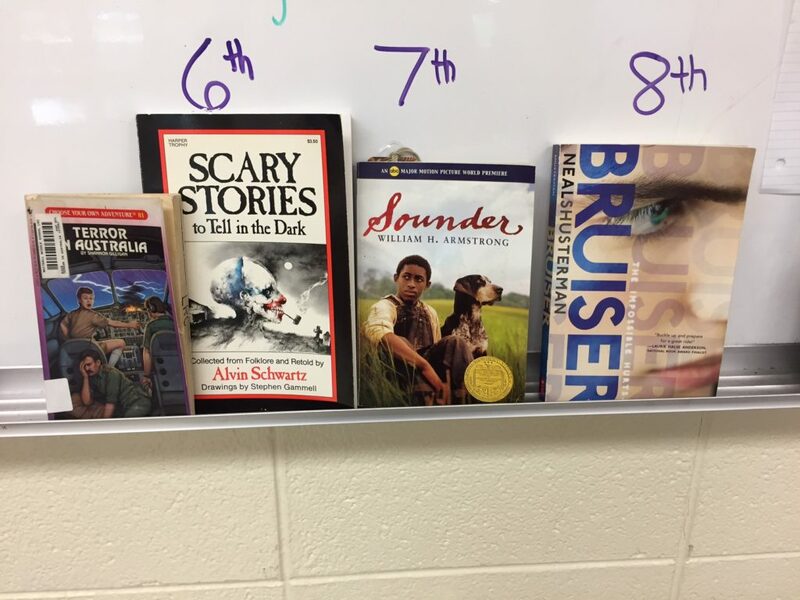 My 8th graders voted to read Bruiser. We began by reading the back of the book and watching a student-made book trailer on youtube. This helped to pique their interest and lay the groundwork for a somewhat confusing plot. 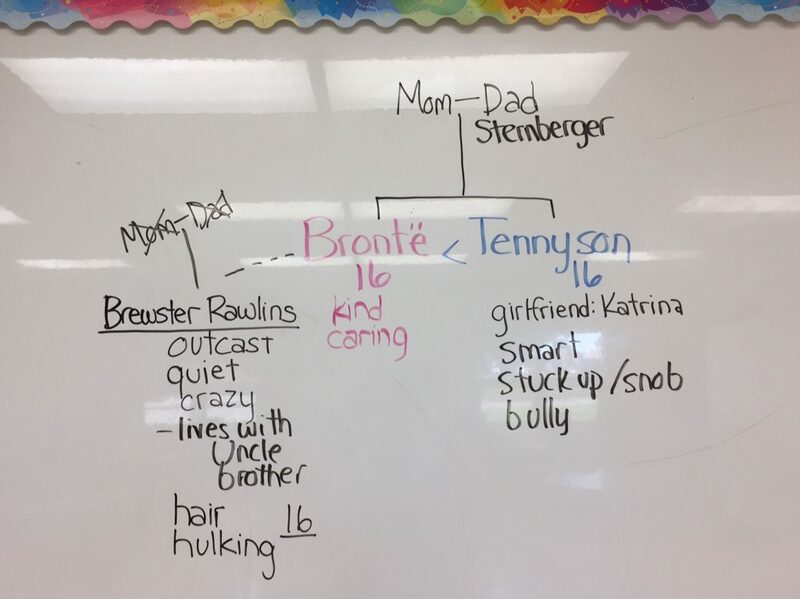 We also leafed through the book and discussed how it is organized – each character (Tennyson, Bronte, and Brewster) gets sections of the book to tell from their own perspective. This means that the point of view or perspective on events shifts throughout the story. We discussed the benefits and limitations of this unique form of story-telling. I personally LOVE this book for a read aloud. It’s very fun to read and act out – the characters are very vibrant and realistic. Their sassiness is perfect for 8th grade. They are very intelligent characters, raised by literary professors, so they often speak in advanced vocabulary and make literary references that require brief explanations. Yet, at the heart of all the verbosity are characters with very relatable emotions and concerns. We have been mapping out characters on the board as we read, adding details that we learn along the way. The other activity I have really enjoyed doing is creating a 3D character map for Brewster. Since he’s sort of a mystery, this has been perfect to record our unfolding knowledge. I rescued this little white board guy from a rummage sale for 50 cents – he was part of a Pictionary Junior game. We haven’t heard many physical details about him yet, but we will add them as we learn more (especially the physical injuries he displays throughout the story). So, have you done a read aloud with middle school students? How did it go? What did you do? Was it well received? « Welcome to Room 112!